USDA APHIS officials indicate they are planning to add the Kousa dogwood, Cornus kousa, to the list of plants that have been identified as hosts for Phytophthora ramorum, the destructive plant pathogen that’s also known as sudden oak death. The species of dogwood will now come under federal regulations designed to combat the spread of the disease, according to Jonathan M. Jones, the national P. ramorum program manager for USDA. 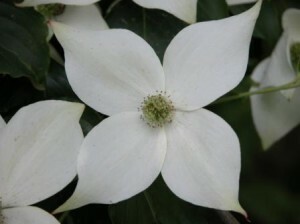 This is coming about because Kousa dogwoods infected with the disease recently were found at a nursery in British Columbia, Canada. A related dogwood, C. kousa X C. capitata, was previously listed as a regulated species in 2006.